The Company was incorporated on 30 November 2016 (Figure 1). Pursuant to the Share Sale Deed, on completion of the Offer the Company’s wholly owned subsidiary Marquee Resources Nevada will acquire Sovereign Gold Nevada Inc, the holder of the Claims, from Sovereign Gold. The corporate structure will therefore be as set out below. 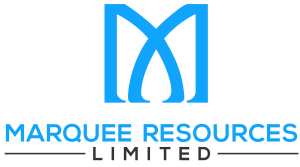 Marquee Resources was formed with the intention of acquiring selected lithium exploration prospects and raising funds to test these prospects. The Company’s goal is to discover one or more economic lithium deposits and bring the discoveries into production. The Company has the right to acquire the Claims in Clayton Valley, Nevada, USA. The Claims in the Clayton Valley are situated at 37º 48’ N / 117º 30’ W, at an altitude of 1,300m – 1,450m, approximately 30km NW from the town of Goldfield. The lake has historical production of lithium-bearing brines dating from the mid-1960s from Silver Peak operations and is the only lithium (Li) producer in North America. Marquee Resources is actively exploring the Clayton Valley which is North America’s only productive lithium district. We'll get right back to you.